A Mass of Christian Burial for Msgr. Rocco D. Villani, a retired priest of the diocese, was celebrated at St. Brendan Church, Midwood, Jan. 26. 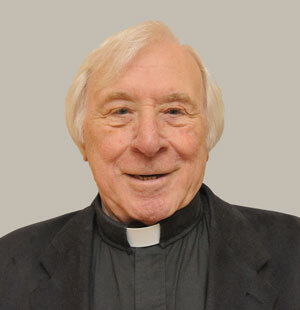 He died Jan. 22 at St. Brendan parish. He had been in the hospital and had returned home to begin hospice care. He was 90. Born in Brooklyn, he attended Most Holy Trinity elementary school and high school, Williamsburg, before being drafted into the U.S. Army. He served in Colorado and Alaska and was discharged with the rank of sergeant. He then attended St. John’s University, and Immaculate Conception Seminary, Huntington, L.I. He was ordained to the priesthood June 3, 1961 by Bishop Bryan J. McEntegart at St. James Pro-Cathedral, Downtown Brooklyn. He served as an assistant at SS. Simon and Jude, Gravesend, 1961-68, and St. Anthony of Padua, Greenpoint, 1968-70, before being appointed spiritual director at Cathedral College, Douglaston. In 1977, he arrived at St. Brendan parish, serving as administrator until he was named pastor in 1985. He then served as pastor of St. Mary Mother of Jesus, Bensonhurst, 1989-2004. In retirement, he served as a temporary administrator at St. Brendan and Resurrection, Gerritsen Beach, before returning to St. Brendan. Msgr. Villani also served as chaplain at St. Brendan’s H.S., now closed, and Bishop Kearney H.S., Bensonhurst. He was named a prelate of honor to His Holiness on Feb. 25, 1988. Auxiliary Bishop Paul Sanchez was the main celebrant of the funeral Mass. Father Frank Spacek, former pastor of St. Brendan, was the homilist. Special concelebrants included Msgr. D. Joseph Finnerty and Msgr. Peter I. Vaccari. Father Peter Gillen, pastor of St. Brendan, remembered his longtime friend. He is survived by a brother, Deacon Salvatore B. Villani of St. Aidan parish, Williston Park, L.I., and a sister, Immaculata Perrotta of Williston Park, L.I. Burial was in St. John’s Cemetery, Middle Village. I remember Fr Villani from the 60’s when I atteneded Sts Simon & Jude elementary school. As a young boy, he was a role model to me. A truly caring man that left a lifetime impression. God Bless you, Father.